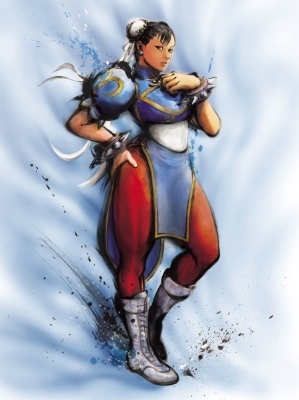 Fighting games let you grapple with strangers in complete safety, teach you new techniques for touching them, let you try any body type you like, and most of the costumes are clearly designed to make love instead of war. Imagine any other way you’d be prepared to indulge in three minutes of physical fun with a random stranger on the internet. Your reaction would be to attack anyone who suggested it and get out of there, meaning fighting games have you coming and going. Fighting games are the purest skill challenge left in online gaming. The only extra equipment you get for playing longer is a callused thenar space. Which sounds like somewhere you’d have a star war against aliens, but modern fighting games involve more energy blasts and teleportation. The only problem is the lopsided gender divide, where “lopsided” usually means “top-heavy, or possible double Zeppelin impersonation”. While the men have been snatched from a fancy dress party, the women have clearly been teleported in by that Terminator time machine that can’t do clothes. 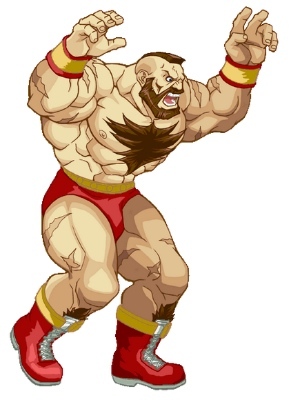 I suggest a solution in my latest article, How To Make Every Fighting Game Better, and prove that Zangief is the ultimate modern man. This entry was posted in GAMES and tagged gamesarefun, mancave. Bookmark the permalink.